Another cold blustery day sketching from the comfort of my car. This completes the first month of my Odyssey. This is a great exercise to discipline myself in sketching more and to increase my ability in documenting my corner of the world. The entry house for the state park. 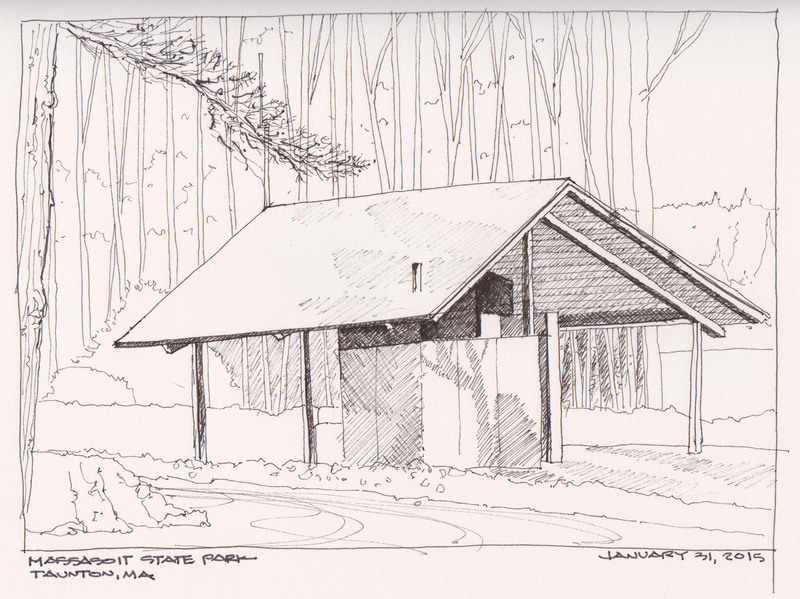 Massasoit is a heavily wooded state park that has an abundance of hiking trails.Micron Pens in a Stillman and Birn Alpha Series Sketchbook. Mr. 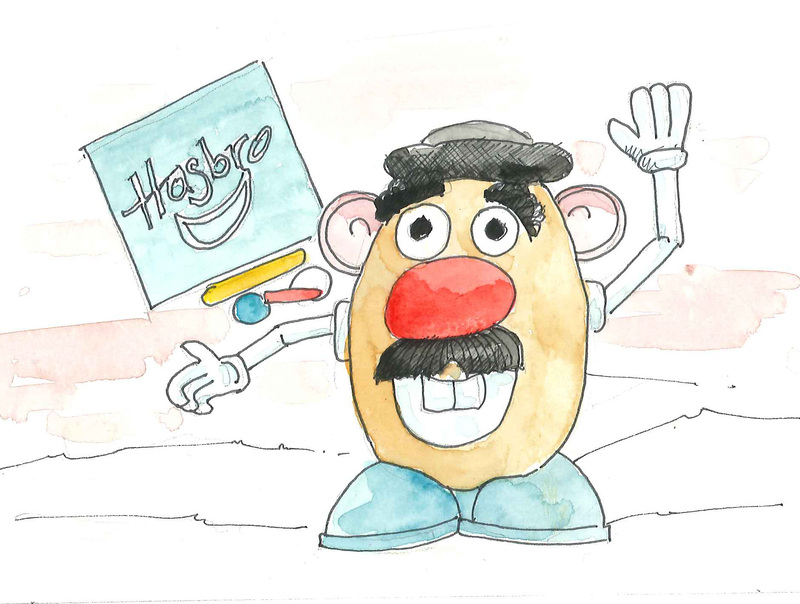 Potato Head is a classic American toy consisting of a variety of plastic parts that would be attached to a potato. These parts usually include ears, eyes, shoes, a hat, a nose, and a mouth. The toy was invented and developed by George Lerner and manufactured by Hasbro in 1952. Mr. Potato Head became the first toy advertised on television and was targeted directly to children rather than parents. This Mr. Potato Head is life sized in front of the Hasbro Headquarters in Pawtucket, Rhode Island. Pelikan Watercolors, Niji Waterbrush, Stillman and Birn Alpha Sketchbook. The snow and the muted colors will be here to stay for some time. 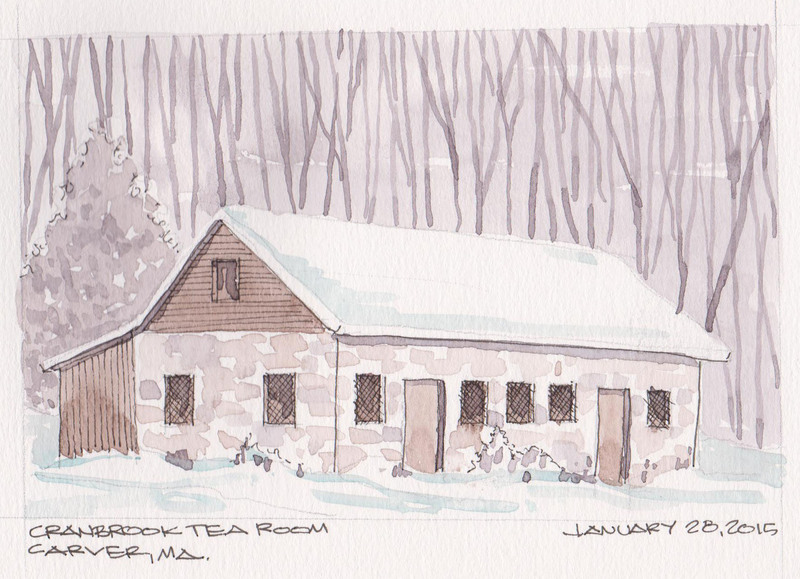 The Crane Brook Restaurant and Tea Room was one of our favorite restaurants that closed a couple of years ago. 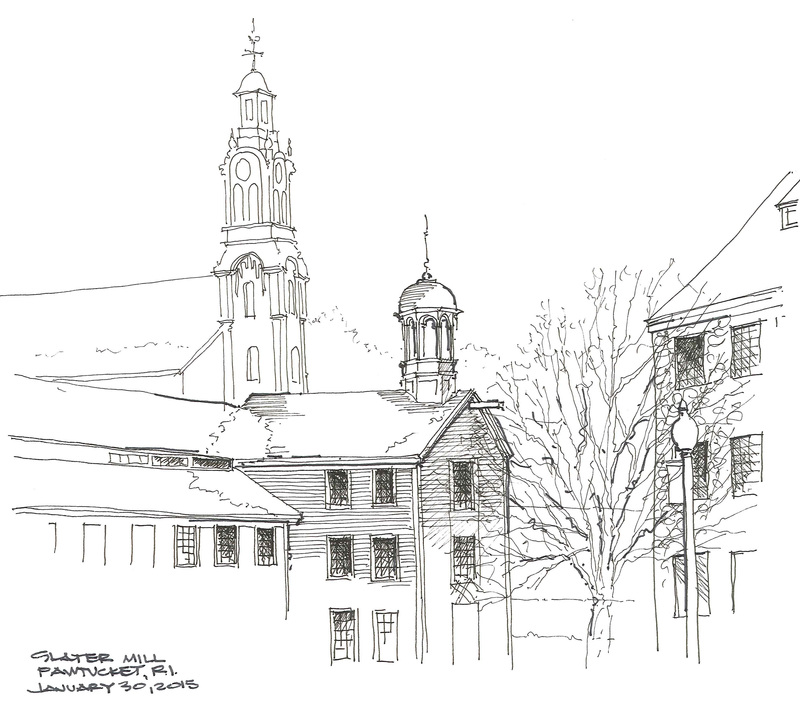 The buildings on the site have a long and evolving history relating to three different Plymouth County industries: manufacturing, agriculture and hospitality. In 1760, a foundry was built on this site by Bartlett Murdoch using Sampson’s Pond bog iron to produce many different products. This furnace later created cannonballs used during the War of 1812. Later incarnations were a cranberry screening house and then the restaurant and gift shop. Daniel Smith Watercolors in a Canson Sketchbook. 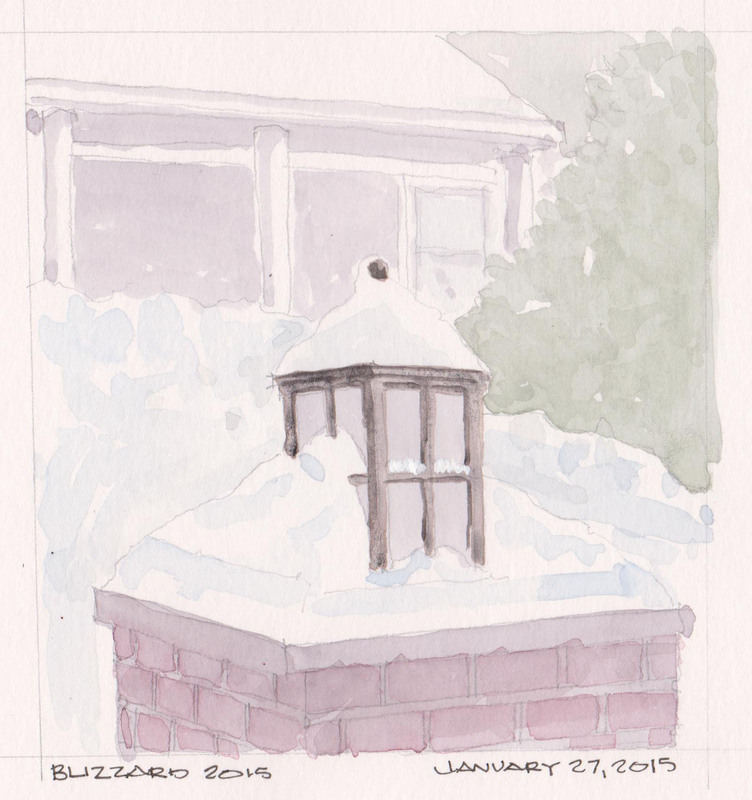 Pier Light covered with snow from the January 2015 Blizzard. Beautiful and peaceful as the winds begin to diminish. Daniel Smith Watercolors in a Stillman and Birn Beta Sketchbook. This is the view outside my studio window. 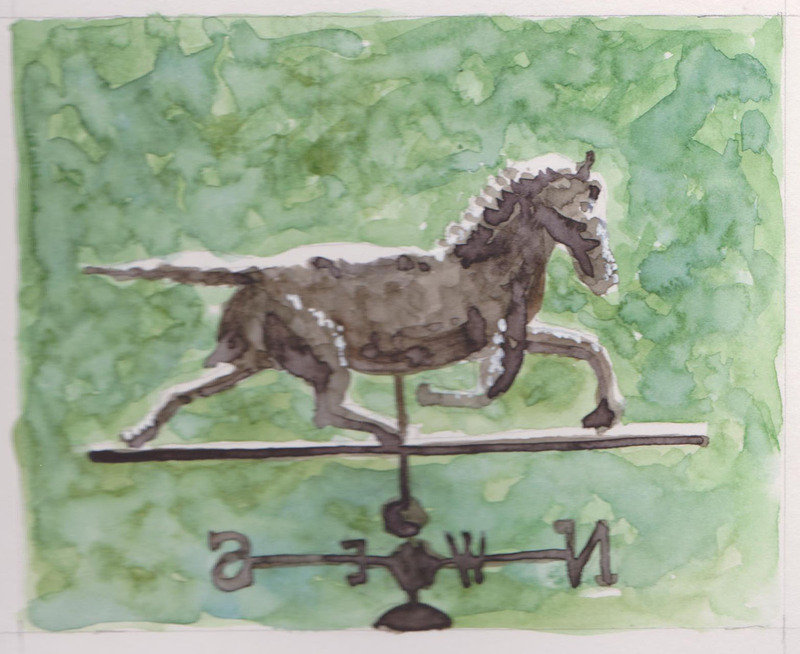 The snow has started to fall on our copper Patchen Horse Weathervane just outside our Studio window. The forecast is for a Blizzard tomorrow with up to 30 inches of snow. The horse looked so peaceful with a light coating of snow. I need much more work on animals and people, but you have to start somewhere. Pelikan Watercolors, Niji waterbrush in a Stillman and Birn Beta Sketchbook. 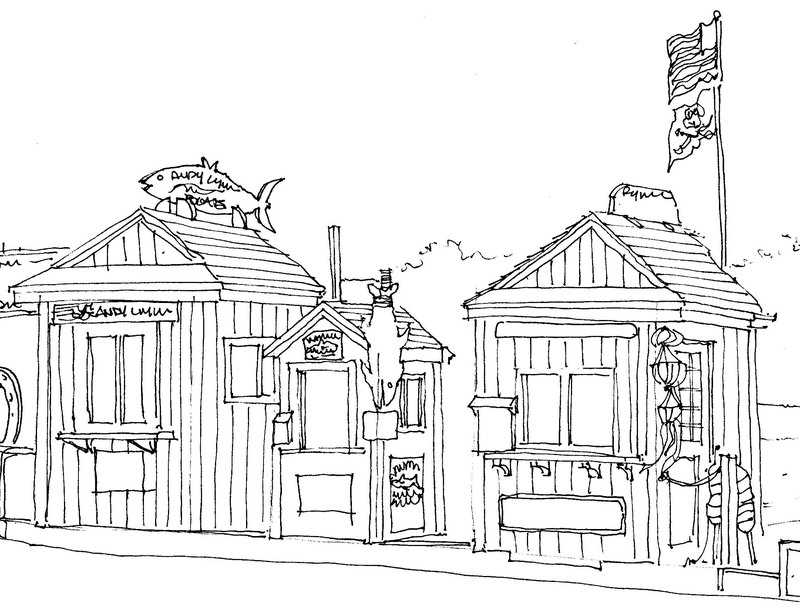 A quick black and white sketch of the Whale Watch and Charter Fishing shacks in Plymouth Harbor. Micron Pens in a Canson Sketchbook.